* Travel dates May 28-Jun 25. Fares updated on: 4/18/2019 at 2:36 AM. Fares are round trip. Fares incl. all fuel surcharges, our service fees and taxes. Displayed fares are based on historical data, are subject to change and cannot be guaranteed at the time of booking. 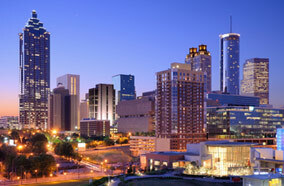 Atlanta is not only the capital but also one of the most thriving cities in the state of Georgia. The city is blessed with natural wealth and beauty in abundance and hence attracts travelers from different parts of the globe to its premises. Of the many attractions, World of Coco Cola, Fox Theater, CNN Center, Martin Luther King, Jr., National Historic Site, and The Center for Puppetry Arts are a must visit. Many airlines operate service from New York to the Georgian city and provide seamless connections. AirTran Airways, American Airlines, US Airways and Delta Air Lines are a few carriers that offer direct service to Atlanta. Three prominent airports including New York John F Kennedy International Airport (JFK), New York Newark Airport (EWR), and New York La Guardia Airport (LGA) serve the thriving city of New York. On the other hand, the well-known Atlanta Hartsfield-Jackson Airport (ATL) serves the city of Atlanta. 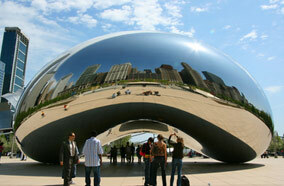 If you are keen to benefit from Cheap Airfares to Atlanta, you can contact Fare Buzz at 1-888-808-4123 today!